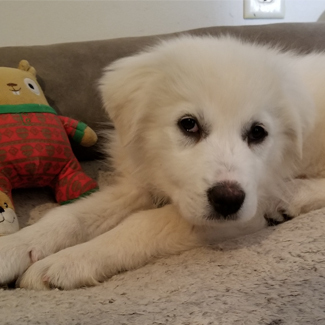 Hi maybe new family, I’m Frieda, a 12-week old, 20 lb., shy girl new to living inside, being with people and GPRA for that matter. I’m glad my sister Etta and I are staying with the same kind foster because we just said goodbye to our mom. 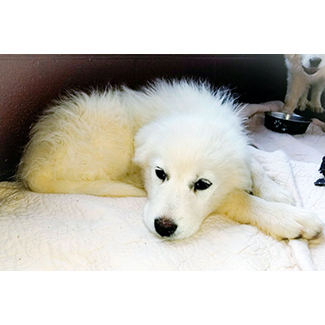 Yeah, it’s a little sad but we’re happy because she’s looking for a GPRA family, too. 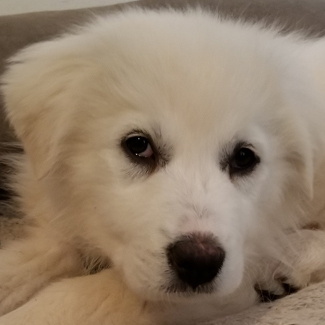 Do you want to help me learn all that stuff I see big dogs doing, like walking at the end of a big, long string, sitting before they get treats, standing at a door before they go potty, and protecting their people? If you’re thinking about it, please email info@greatpyratlanta.com or click the “Apply to Adopt” button below.